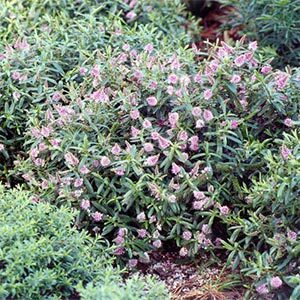 An attractive rounded evergreen shrub which is almost completely covered with spikes of small pink & white flowers during the summer months. Prefers a sunny well drained position. 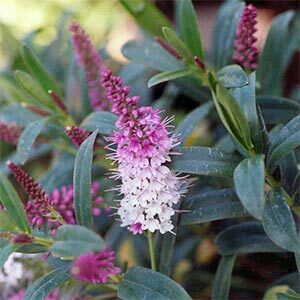 Ideal for tubs & rockeries.